The event, themed “Sustainable Abundance” will also be a celebration of our food producers, of local quality produce and an exposé on how to make farming a profitable enterprise. 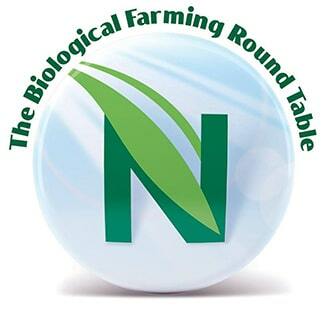 The aim of the Biological Farming Roundtable (BFR) is to initiate discussion on biological farming, helping farmers explore innovative, low input, regenerative, profitable and productive farming systems. The group supports each other’s journey in an emerging regenerative agricultural paradigm, where dominant conventional views can often be a barrier to change and success. 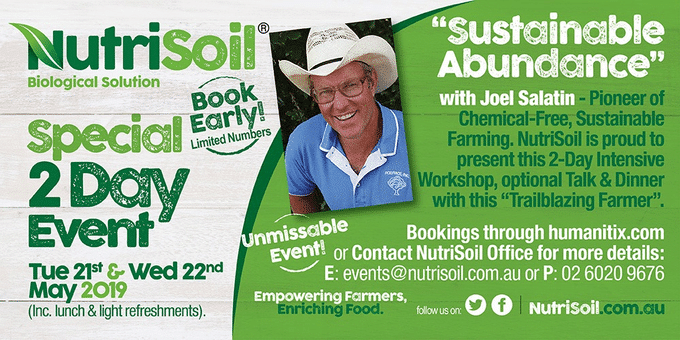 Come and join us for NutriSoil’s 2019 World Class Annual Event. It’s going to be spectacular! 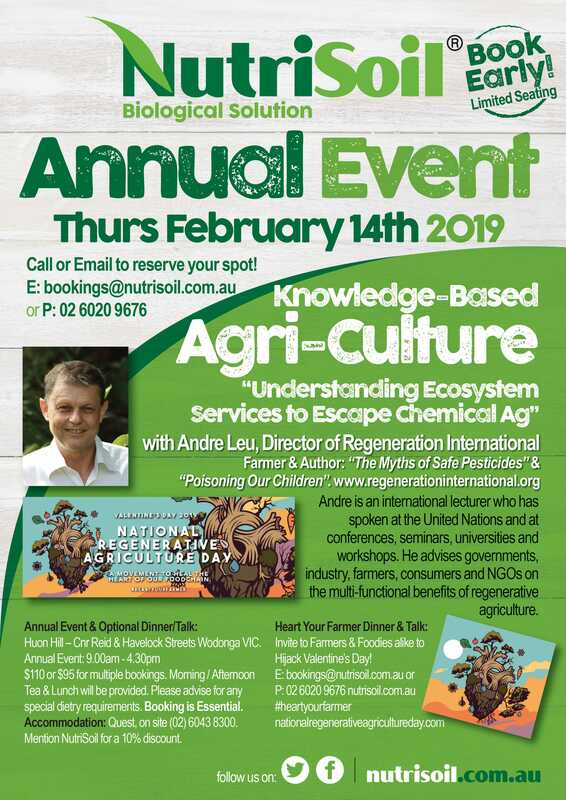 The event has been moved forward to February 14th, in support of the inaugural National Regenerative Agriculture Day, supporting a movement to heal the heart of our food chain. Come and join us for NutriSoil’s Annual event. This year we will be holding the event at Huon Hill function center in Wodonga, VIC, with an optional dinner to follow. Traditionally we have attracted farmers to this event, with the aim of supporting them in building regenerative farming systems. This year we also invite people interested in human health, who are the consumers, to join us in the evening talk on Gut health. Our intention is to build consumer awareness that HOW food is grown, affects human health. The Biological Farming Roundtable is to facilitate discussion on biological farming, assisting farmers to explore innovative, low input, regenerative farming systems. The group supports each other’s journey in an emerging regenerative agricultural paradigm where dominant conventional views can often be a barrier to change and success. Come along this Thursday and learn how to make your own fish hydrolysate fertiliser and biological inoculant for composting. While your there take a tour of NutriSoil, the biggest worm farm in Australia. June Biological Farming Roundtable This Thursday! In this session, Agroecologist, David Hardwick will be taking participants through the fundamental steps in starting to read a soil test and provide basic rules that will assist producers in making sense of soil tests. Come hear David’s story, from a practicing agronomist and high input conventional farming system, to a low input, value added mixed cropping system. 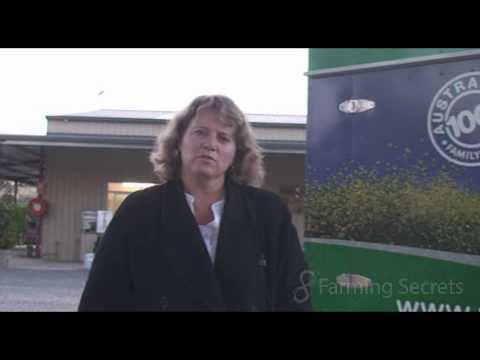 NutriSoil presents Dr Christine Jones. 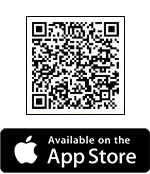 “Weaning off N & P – Are Your Soils Addicted? An internationally renowned and highly respected groundcover and soil ecologist, Dr Christine Jones is very well known for her farmer workshops. 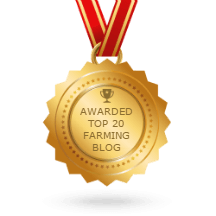 These workshops explain the Liquid Carbon Pathway and how photosynthesis, microbes, diversity and limited chemical and tillage are the key to profitable and sustainable farms. Can You Grow Crops In Sand?